EFFORTLESS AND WHISPER-QUIET ROLLING – Stay focused on your task instead of distracted and annoyed by the squeaking and sticking of cheap plastic or metal office chair casters. 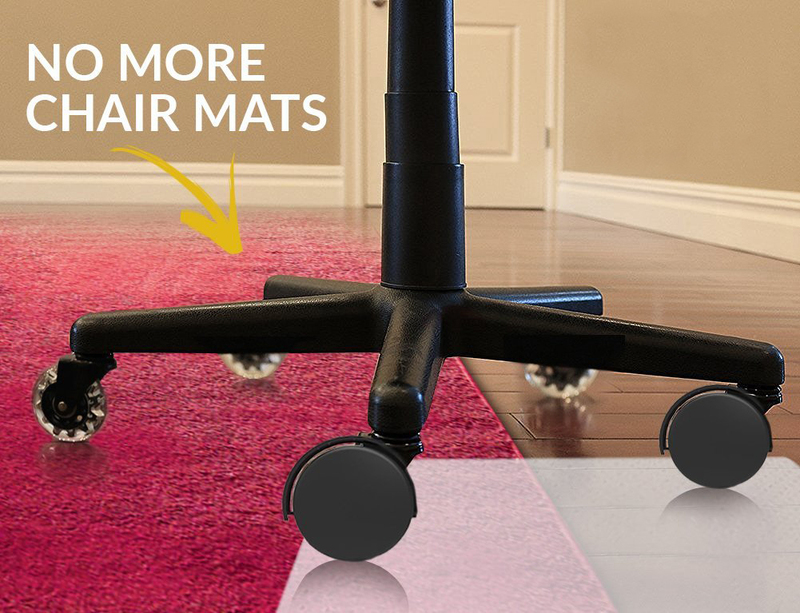 Get rid of being tied down to your office chair mat. 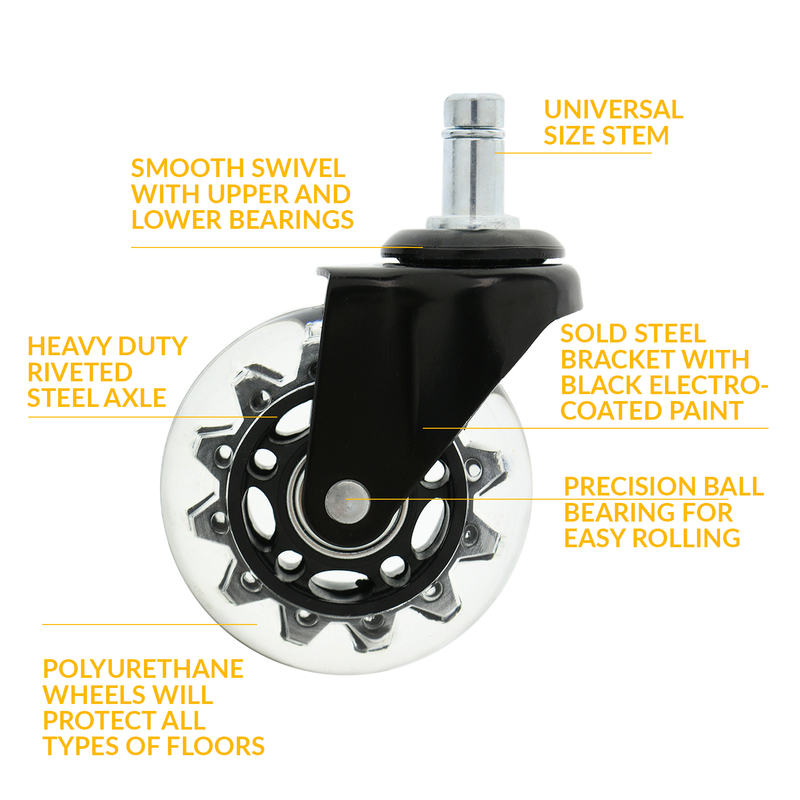 UNPARALLELED DURABILITY: – GET THE BEST VALUE FOR EVERY PENNY YOU INVEST, High grade steel, precision ball bearings, and durable polyurethane chair casters were carefully chosen for a heavy duty and long lasting design. Buy these office chair wheels once and enjoy them for many years to come. 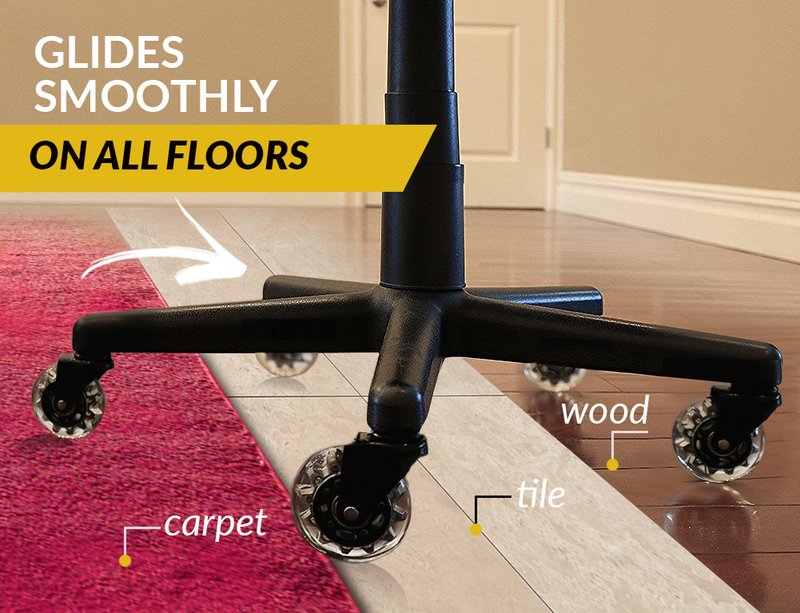 PERFECT FOR MORE THAN JUST THE COMPUTER DESK: These chair wheels provide a great upgrade on chairs for conference rooms, drafting, cubicle, reception, and executives. Or use these on stools that roll (saddle, tractor, etc.) in areas like dental, medical, salon, barber, even tattoo. PC video gamers will agree they are ideal wheels for dxracer chairs. COMPATIBLE WITH MANY BRAND NAME CHAIRS: Enjoy these incredible chair wheels that fit with brands like Herman Miller Aeron, Humanscale Freedom, dxracer gaming, Hon, Gaiam, Serta, Lane, Ergonomic, Thomasville, Angelo, Brylane, Broyhill, Eames, Alera, Staples, Amazon basics and much more. Fits all brand name chairs except Ikea. UNIVERSAL SIZE Allows these original office chair wheels to be used on almost any chair. Don’t settle for the cheap set that comes on your expensive office chair, upgrade to high quality that will last forever! NOT COMPATIBLE WITH IKEA CHAIRS. EASY INSTALLATION – NO TOOLS REQUIRED – Simply remove the old chair wheels by pulling them out, and then install the new wheels by pushing the stems into the chair socket. 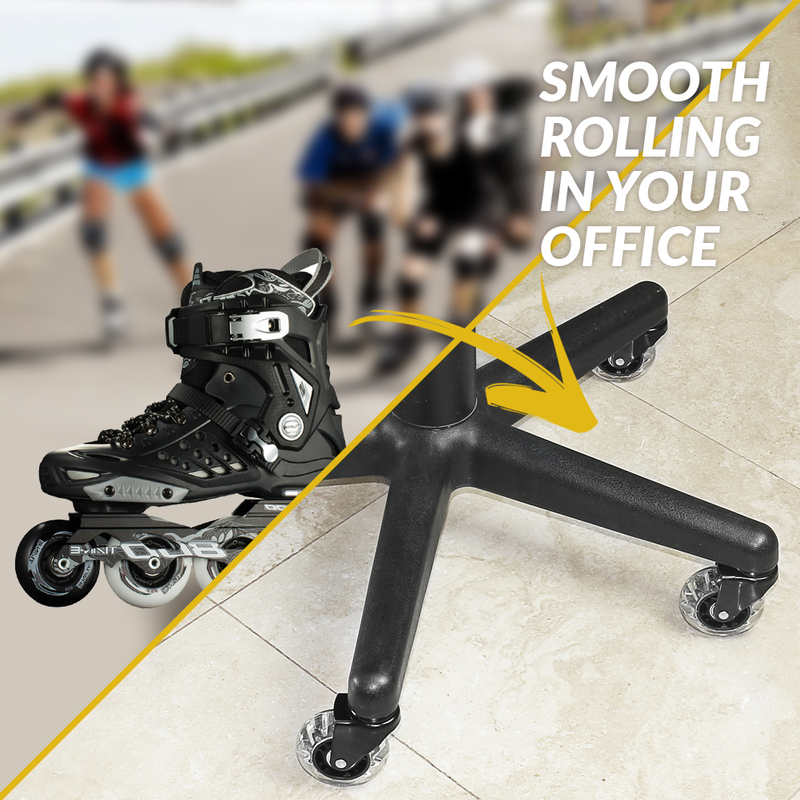 ENJOY SMOOTH & QUIET GLIDING These rubber chair wheels will relieve the stress of rolling on your office chair. Never get frustrated again. Let smooth gliding be the new normal. Just glide from lower to higher surfaces with ease. SATISFACTION GUARANTEED!! 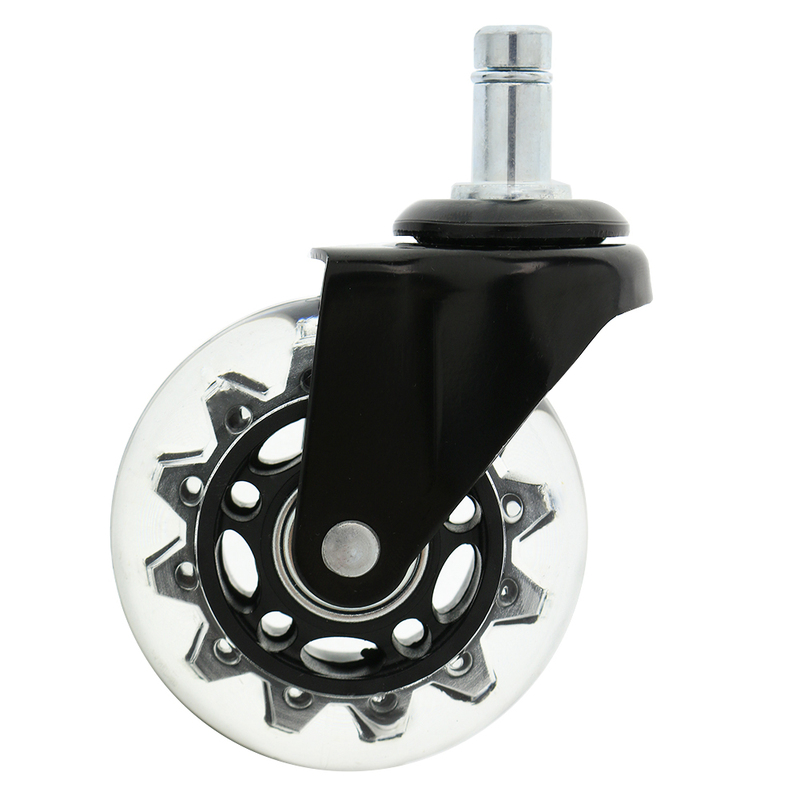 – You can purchase these chair wheels with PEACE OF MIND, backed by our satisfaction guarantee! If you are unsatisfied with your purchase we will refund your money no questions asked within 30 days of purchase!. Keeping our customers pleased is our number one goal.